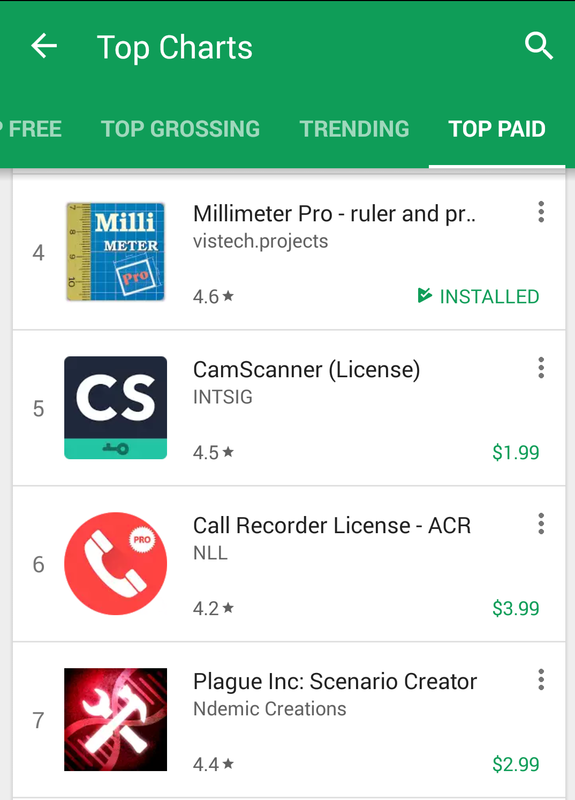 After the recent sale on Google Play Millimeter Pro hit the top charts in many markets worldwide. The app has been ranked top 10 on Google Play in Overall and Productivity categories. We deeply appreciate all the positive feedback and support from the app users. 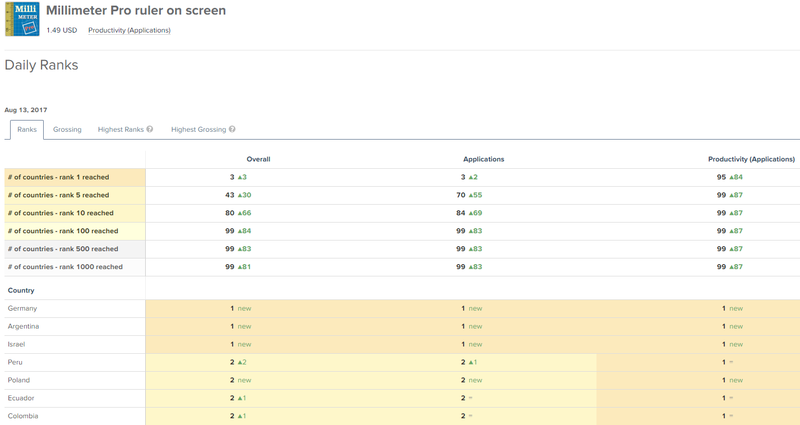 The app appeared to be one of the best screen rulers on the market now in terms of rating and user satisfaction. If you have comments, suggestions or requests, please contact us.